“Opportunity Zones” are top of mind in Denver’s development world right now. Since the new tax incentive launched in January 2019, developers and investors – really anyone in the commercial real estate industry – have been trying to figure out exactly what it means and how to take advantage of it. While there are multiple opinions on how it will shake out, the general consensus is that it will ultimately benefit Denver’s (and Colorado’s) growth. Designed as an economic development driver, the federal Opportunity Zone program is part of the 2017 tax reform package aimed at balancing the disparity that still exists between economically strong versus economically distressed communities following the Great Recession over 10 years ago. For anyone following Denver’s growth trajectory over the past several years, it should come as no surprise that these areas should be flagged as opportunities for further investment. A lot of these areas were already on developers’ and investors’ radars as development opportunities, and in some cases, projects were already in the works. Now, they have the added benefit of being in an Opportunity Zone. A couple of redevelopments that fall into this category are the Robinson Dairy Marketplace and the Mile High Stadium District in Sun Valley. The Opportunity Zones program will inevitably spur even more development in these areas, which will ideally create new jobs and opportunities for increased economic activity in the neighborhoods. 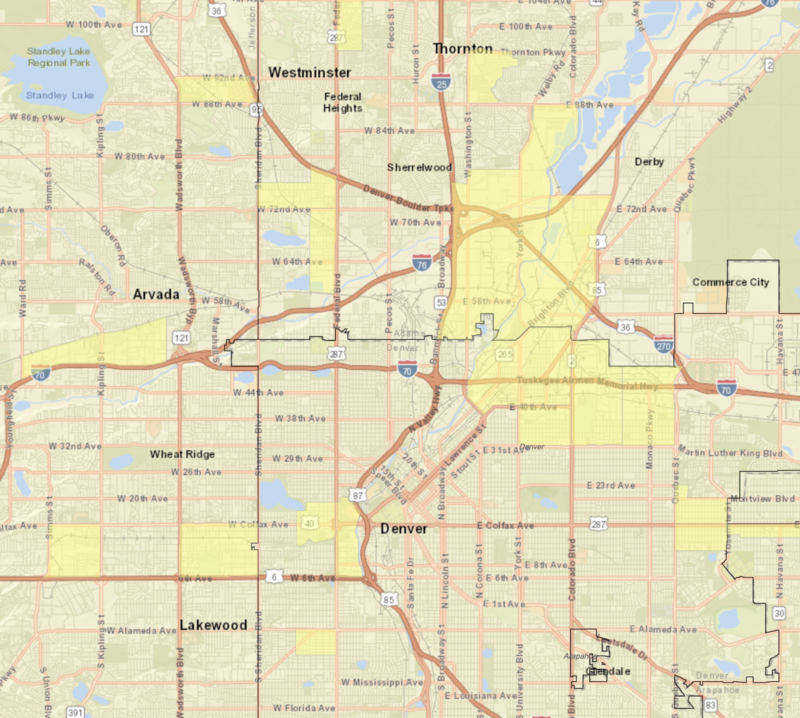 Areas highlighted in yellow are designated opportunity zones. Contrary to current rhetoric, investments through Opportunity Funds don’t have to take place in 2019, although doing so allows for the maximum tax benefit. Investments can be made through this program through 2026, which allows developers and investors to continue evaluating opportunities over the coming years, rather than rush into major decisions. Many developers and investors, including Tributary, are taking a cautiously optimistic approach to this new incentive. At the end of the day, a deal in an Opportunity Zone still needs to make financial and business sense. Because investors are required to hold the asset for 5, 7 or 10 years, it requires some patience and long-term planning. During various panels on this subject, hosted by organizations like Bisnow and ULI, some seasoned experts have speculated that trigger-happy investors might rush into new projects without fully understanding Denver’s commercial real estate landscape. We would echo the advice that anyone looking to capitalize on the program use a trusted developer with both the means and the vision for developing in these areas without the incentive. Bottom line: At Tributary, we believe in intentional development. With decades of experience in Denver’s commercial real estate industry, we’ve seen a lot of incentives come and go. While this program might be a “once-in-a-generation” opportunity – as some have referred to it – we know that deals still need to make good business sense, regardless of any after-tax benefits. As an integrated real estate firm, we’re able to view the market through the lens of development, investment and brokerage, allowing us to formulate our position with the benefit of multiple perspectives. We will continue to make deals where it makes sense, concentrating our efforts in Denver’s urban neighborhoods. If those align with Opportunity Zones, great. 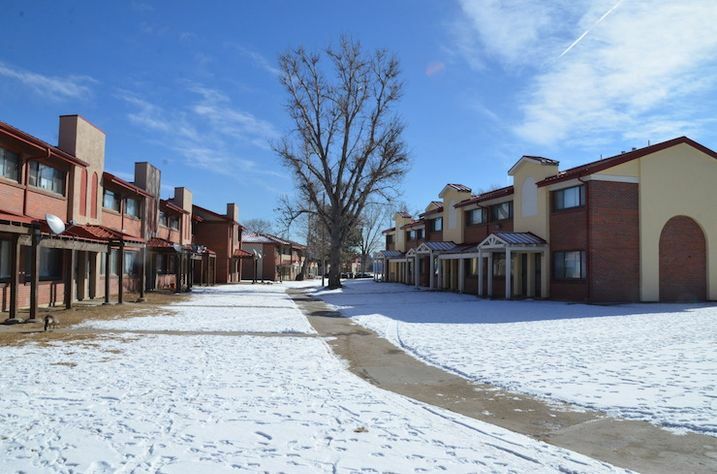 If not, we remain confident in our ability to contribute meaningfully to the urban fabric and create new opportunities for locals to live, work and play in Denver’s urban neighborhoods.